Paradise Token offers direct global hotel booking powered by dapps. “Paradise” embraces this technology to open a decentralized direct booking in the travel and tourism sector. Peer‐to‐peer economy applications, typified by Expedia, Tripadviser, Booking.com, and Priceline have achieved great success in the past few years. However, these platforms charge high commission fees, advertising fees and also payment processing fees from their users in order to run. Huge growth is only enjoyed by a select few VCs and the founders. No interest in the company, very little, if any, of the appreciation value goes back to the guests and hosts. Thanks to Ethereum smart contracts, it is now possible to build a truly decentralized and automated sharing economy platform. This will be done with no middlemen, 0% fees for advertising, 0% commission fees and by sharing the wealth with the users in a two‐sided marketplace. The Paradise vast connection with the biggest hotel chains in the world will be only huge benefit to users. Building trust is difficult, and it is centrally governed by big marketplaces. There is an inability to transfer trust from one centralized service to another, and thus a need to establish relationship with each Host separately. Building trust is difficult. It takes time and costs a lot of money. “Paradise”provides a seamless user experience based on trust and security through the blockchain. Every time a transaction is made the blockchain will record the time of the transaction, delivery time ,both receiving and sending wallet addresses, warranty conditions,etc. , All the sensitive information will be hashed and only available to authorized users/user interface (Enable access to these dApps from desktop browser and Smartphone’s). Guest and Host will be able to rate each other, write review, solve a claim, etc. The smart contract will automatically change the trust level for each of the parties. Customers will be able to browse for the best property, using “Paradise” Country List or “The Largest Hotel Chains in the World List” both web and mobile apps. 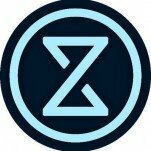 The zero commission by default is a feature of the decentralized PDT Ledger. End customer and property owner deal directly. (payment button on the Host website). Customers will be able to pay PDT, BTC, ETH, and in another cryptocurrencies. 1.2 % Transaction Fees (0.2 % will back to the guest after a writing review).Releasing the PDT Ledger as a decentralized solution will bring this value back to the end‐customer, allowing for cheaper travel. Direct booking will be on the host’s website. Host accept only PDT, BTC, ETH and another cryptocurrency. Then “Paradise” protocols will execute automatic conversion to fiat currency or the ERC20 standard cryptocurrency by (Smart contract)‐SELL/BUY on major exchanges like Bitfinex, GDAX and another crypto‐ exchange API.Host will be able to choose the frequency at which crypto tokens are converted to fiat, cryptocurrency to exchange to, time of sending money to their bank account, and many other options. “Paradise” will be the first system built on top of a set of Paradise Protocols which allows end customer/guest and host to deal with each other via direct booking without commission and no paying for an advertising(by host). We build Paradise, a decentralized open source bookings ecosystem for direct booking hotels/restaurants/air flights and any kind of entertainment. All listings and deal parameters on Paradise will be decentralized on the Ethereum blockchain, eliminating all middlemen and guaranteeing transparent execution. Paradise integrates with a third party/HOST/GUEST currency conversion protocols to allow pay in PDT/ETH and all ERC20 Tokens and payout in PDT/ETH/BTC/all ERC20 and fiat.